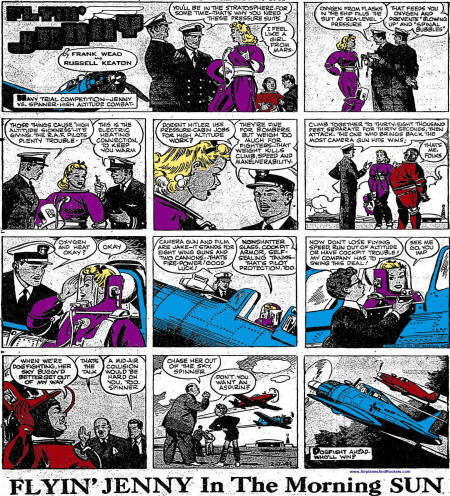 Since I have a paid subscription to Newspapers.com, I decided to search for a sampling of some of those comics strips. 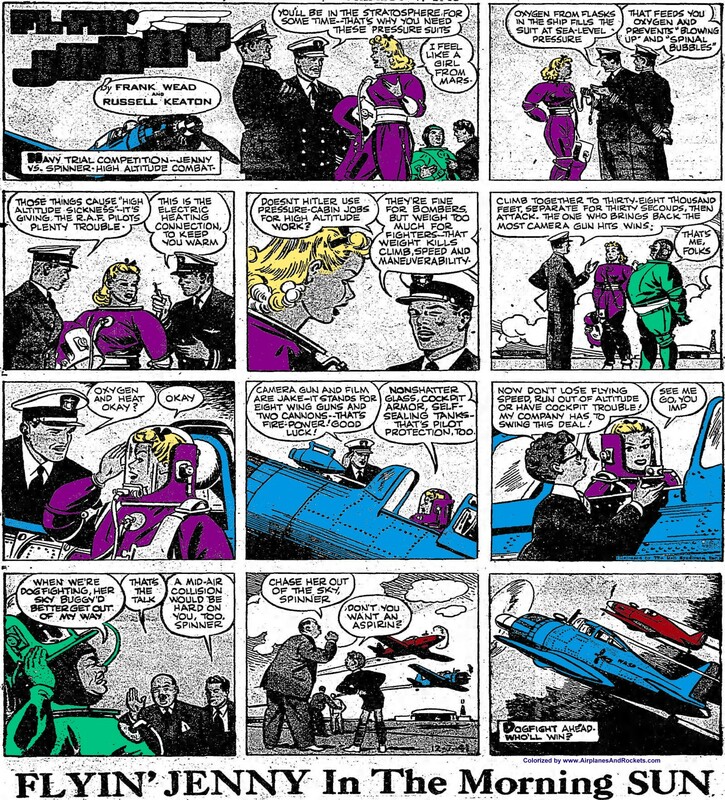 The Baltimore Sun newspaper, published not far from where I grew up near Annapolis, Maryland, carried Flyin' Jenny from the late 1930s until the strip ended in the mid 1940s, so I saved a couple dozen from there. This is the first one I downloaded (I added a bit of color to it). The publication date was December 7, 1941 - that date "which will live in infamy," per President Roosevelt. Many Americans were receiving word over the radio of the Japanese attack on Pearl Harbor while reading this comic at the breakfast table. Flyin' Jenny, whose real name was Virginia Dare (what's in a name? ), was a test pilot for Starcraft Aviation Factory who divided her time between wringing out new airplane designs and chasing bad guys. She was the creation of artist and storyteller Russell Keaton. I will try to remember to post a new Flyin' Jenny each week until they run out. All I have are the Sunday editions, but it was a daily strip as well.